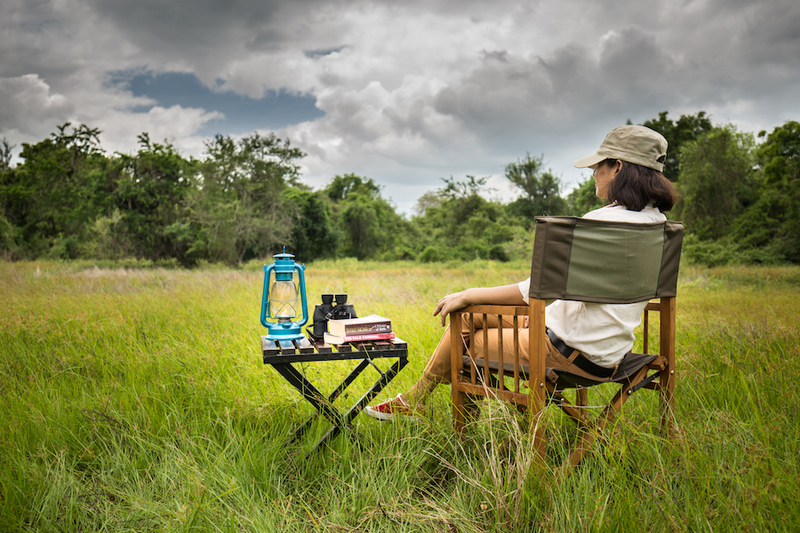 Mahoora tented safari camps allow you the freedom to live and breathe Sri Lanka at its most untamed. The national parks and wildlife reserves that we choose as locations are home to some of Sri Lanka's most treasured animals, birds and plant life. Our services enable you to choose just how much of the modern world you would like to have in your safari camp or even how little of it. Our camps are set up in the heart of Sri Lanka's best and remote wildlife locations so take a deep breath and fill your lungs with clean unpolluted air for a change. We will set the stage for your perfect wildlife safari camp - all you need to do is just sit back and enjoy this slice of heaven we call home. If it's the ultimate Sri Lankan safari experience you are looking for in the utmost of comfort, Mahoora is the perfect choice for you. Sit back and relax, and allow the Mahoora Team to guide you on the journey of a lifetime you'll never forget. Eavesdrop on the splashing of the elephants in the nearby lakes and streams, be hypnotized by a leopard's soft growling in the dark, listen to the evocative hoot of an exotically tropical owl....embrace the sights and sounds of nature and you will truly experience a state of natural bliss. Observe Sri Lanka's natural wilderness in all its raging glory, untamed beauty, and unmatchable splendour. Experience a world-class safari with the most innovative and professional tented safari service provider in Sri Lanka. With a highly trained and professional team personally on hand to look after your every desire, your Mahoora adventure will leave you feeling like a king Mahoora, the expert's choice. Have you dreamed of a romantic alfresco fine dining experience in the midst of the jungle? 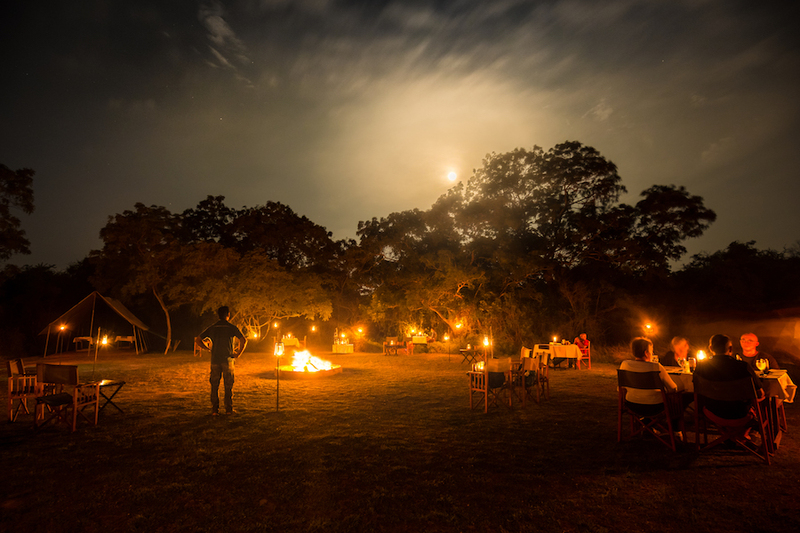 How about indulging in a mouth-watering BBQ prepared by a roaring campfire? Mahoora's fine dining executive chefs will prepare tantalizing meals to suit your personal tastes, whilst adding in a few culinary surprises. This is just one aspect of the unique Mahoora adventure which keeps clients returning to the wild, time and time again. 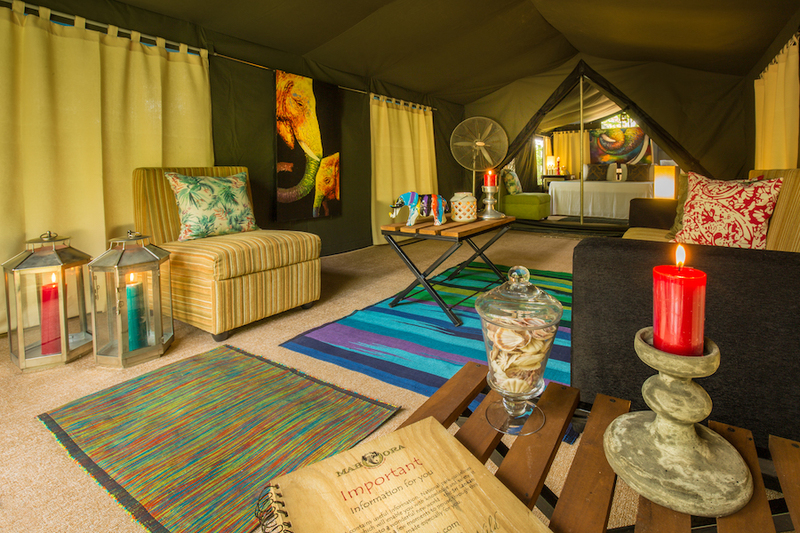 Our Mahoora safari tents are handmade locally using the finest of materials and designed to be fit for a king. Each of the safari tents boasts a restful outer living area, an intimate bedroom and a private en suite bathroom. Soft linens dress the comfortable full-sized beds, whilst wall-to-wall carpeting creates a feeling of comfort underfoot. The bathroom has a flushable commode, hot/cold shower and a washbasin and mirror. Experience a truly luxurious home in the wild, a perfect place to come back to, after our thrilling Sri Lanka safari tours. All the little details are naturally taken care of, from torches and fresh tropical fruit baskets to umbrellas and luggage racks, to ensure that your Mahoora experience embraces you with uncompromising quality and exceptional service. Highly personalized service is our forte.